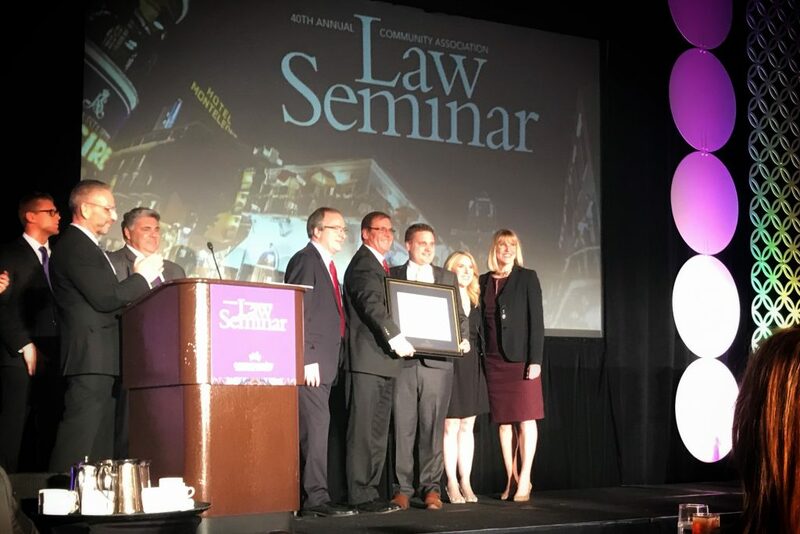 At the 2019 Community Association Law Seminar, presented by the Community Association Institute’s College of Community Association Lawyers (CCAL), Kaman & Cusimano Partner Jeffrey Kaman was inducted into the College of Community Association Lawyers. Jeffrey and David Kaman made history and became the first parent-child inductees into CCAL. CCAL inducts attorneys who dedicate their careers to community association law and demonstrate excellence in the profession. Previous Article Previous Article: Enhance and Protect Your Community Association’s Brand: Why Boards Should File Trademarks By Katelyn R. Kaman, Esq. Next Article Next Article: Developer Control: When Does it End in Ohio Condominiums? By Magdalena E. Myers, Esq.